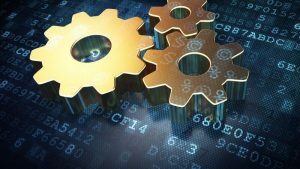 Why You Should Avoid GoDaddy.com? 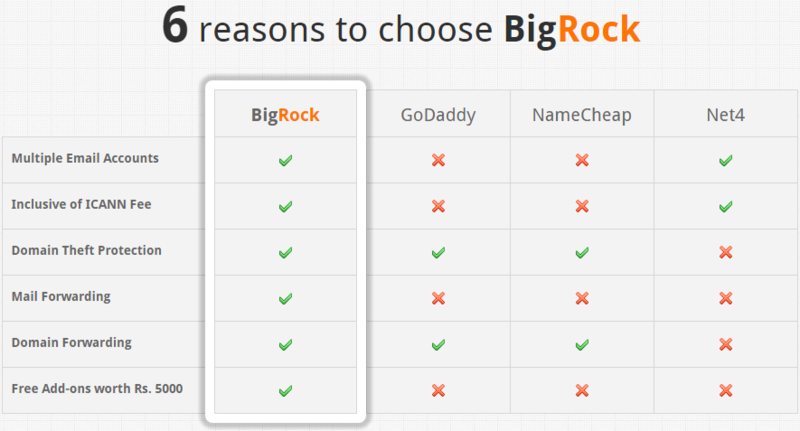 Why I’m Recommending BigRock for Registering Domain Names? 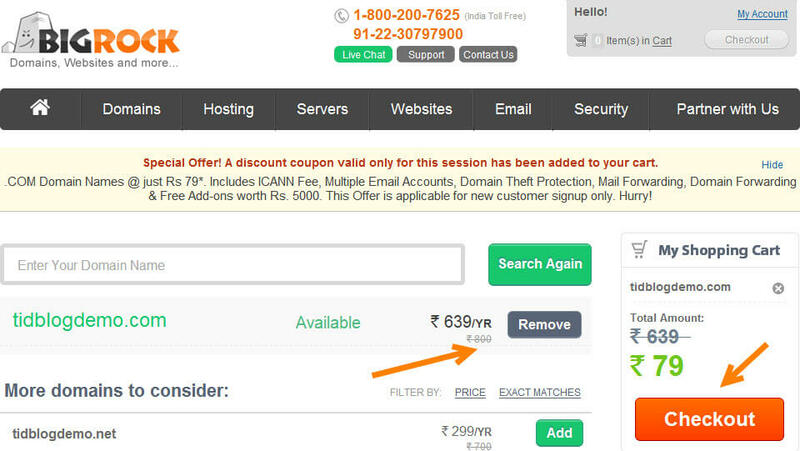 How to Buy a Domain Name from BigRock for Cheap Price? A domain name is the identity of your website and business. Buying a domain name will be very easy and there are many domain registrars are available in web. But, you have to think twice before choosing a domain registrar. 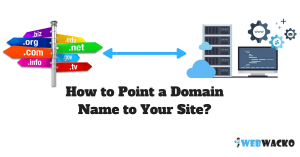 Because, if something happens to your domain name, then it is equal to loss everything in your website and it will result in the complete disappearance of business from the online world. So, today I’m going to help you to Buy Domain Name for Cheap price without compromising features and customer care support! As I mentioned above, you can find many websites or companies for buying a domain name. Most of the popular companies will provide domain names for cheap price. But, which is the best company that provides all the required features in cheap price? That’s the question we need to ask by yourself. According to the popularity, I think, these three companies are the largest domain registrars in the web. 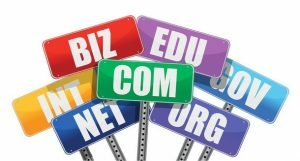 Among these three – which is the, most reliable and affordable company for registering your domain name? Okay, let’s analyze. 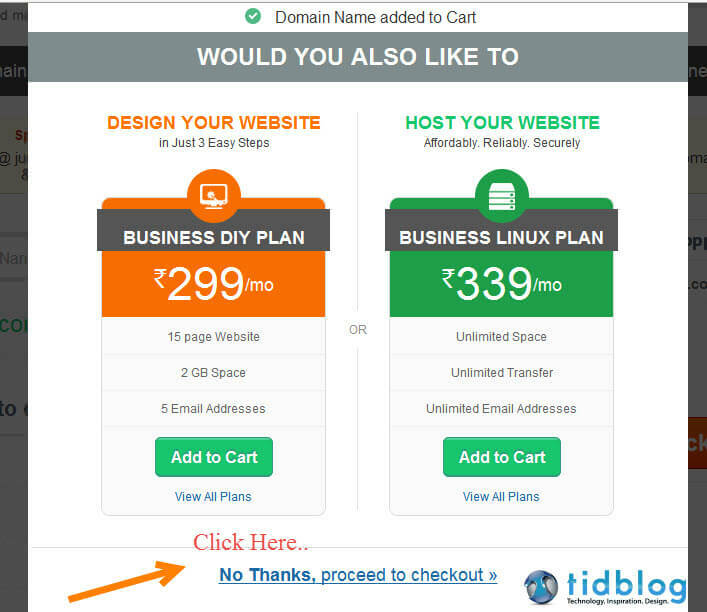 From my own experience, I’m warning you that “YOU MUST AVOID GODADDY FOR DOMAIN REGISTRATION AND WEB HOSTING”. I have got some really bad experience from GoDaddy. I know, they are good in showing attractive advertisements and providing exclusive offers. 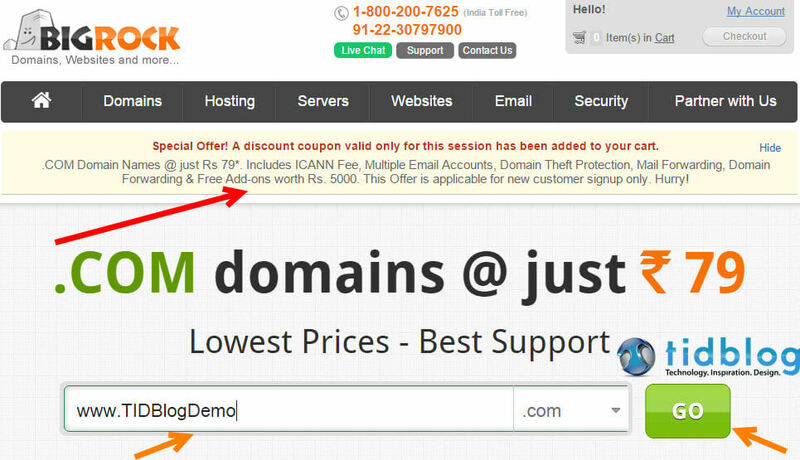 May be in coming days, they will give you domain names for free! But I can say that, once you registered with GoDaddy, then you will be TRAPPED! I already read many articles related to GoDaddy scam and bad services from different top level websites. Recently I have read an article on Forbes on why we should avoid GoDaddy. You can find many articles with detailed explanations and solid proofs from Google by searching the keyword “GoDaddy Scam”. So, I won’t recommend GoDaddy. 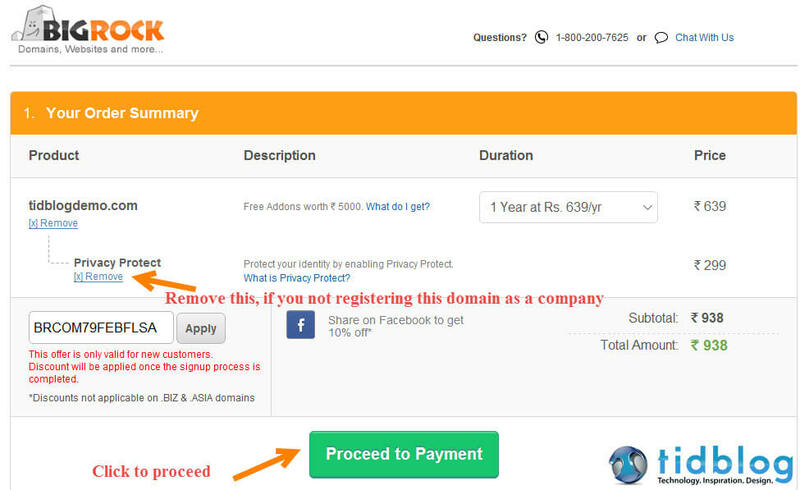 Personally I didn’t registered and domain with NameCheap. In WebWacko, I only publish reviews and articles based on my experience. 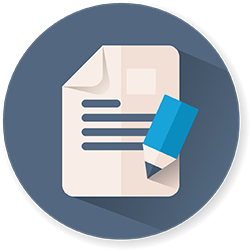 But, I have compared the pricing and features of NameCheap with other domain registrars. So, I can say that they are not affordable, and they don’t provide some required services that must be included with all domains. My all websites are registered with BigRock and I know everything about the features and service quality of BigRock. Don’t think that this is a sponsored article or any promotion of BigRock! I’m using their service from the past three years. They are still continuing the Excellency in service and customer care support. They are proving many extra addons with each domain that is registered with BigRock for the lifetime of that domain. I noticed that, many other reputed companies are not even proving these extra addons! Affordable price than other companies. Live chat support with fast response. Easy to use domain management portal. Faster name server update: They take less than 10 minutes for completing the process. This means your website will be online within 10 minutes after the domain registration. 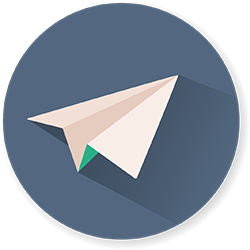 Free multiple email accounts for your domain (Eg: you@yourdomain.com). No special charges for ICANN registration. 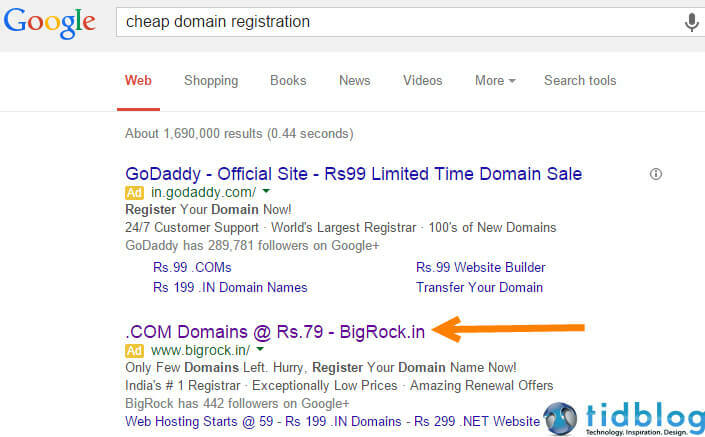 If you are looking for the cheapest price, then you should register your domain from Bigrock’s AdWords ad campain. Note: Google ads offer will only available for .com registrations for a limited time. Step 2: Check for the offer from BigRock. Step 3: Click on the offer link. Step 4: Type your required domain name and click go. Step 5: If the domain name is available, add to your cart. Step 6: Click on checkout. Note: I’m not recommending BigRock for host your website. My all websites are currently running on Inmotion hosting. They are providing SSD for free, for all hosting accounts. Most of the other hosting are using hard drives for storage. So, no compromise for speed and performance. You can see a coupon code that is automatically generated and added to your order. Do not remove the coupon code. This time you won’t see the discount price in your total amount. The discount will be added after creating an account in the next step. Because, this offer is only available for new customers. Step 7: Now remove the “Privacy Protect” option otherwise you will be charged some extra amount for that. Note: I’m not using the “Privacy Protect” service. I don’t think it is necessary. If you are going to a register name for your company then you can add the “privacy Protect” addon. Step 8: Then click on “Proceed to Payment”. Step 9: After that, create an account. Step 10: Then click on “Continue to Payment”. Note: If few moments to update the discount amount. Step 11: You can choose a payment method and click on “Pay Now”. Net banking / Debit cards. 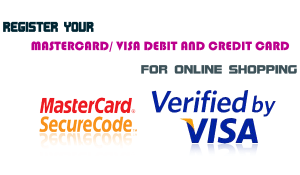 Note: After completing the payment, you will be redirect back to BigRock. 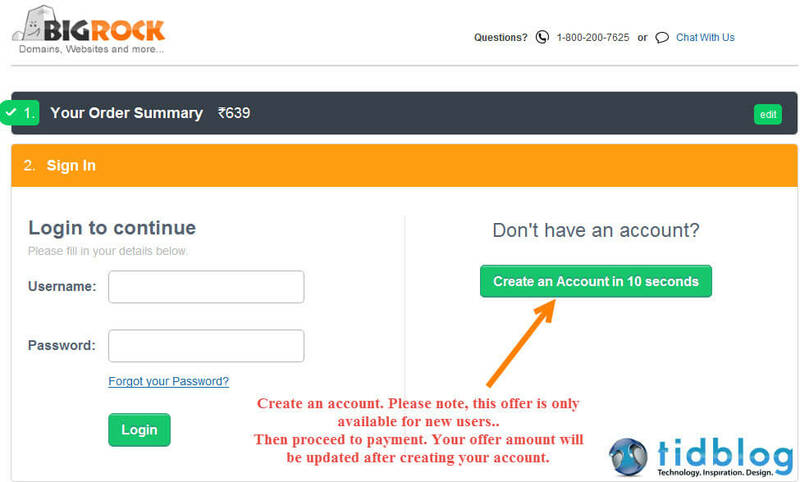 If you get a “Purchase Complete” message, then you can confirm that your domain has been registered with BigRock. Step 12: Then you can go to the BigRock’s homepage and click on “My Account” link to access your control panel to manage your domain name from there you can easily update your Name Servers. For your better understanding, I have a prepared a video for buying a domain name from BigRock. 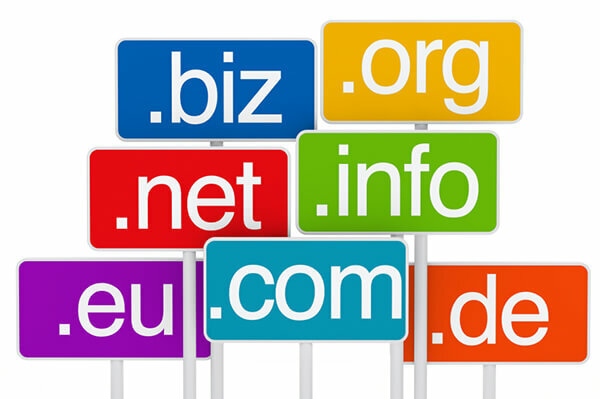 I hope this article will help you to buy domain names from reliable registrar. Now I’m expecting your valuable comments about this article. If you are experiencing any issues, please don’t hesitate to comment below. I’m always happy to help my readers. Thank you so much for spending your valuable time for posting your comment. Please subscribe and visit regularly. Thank you so much for your visit and valuable comment. Hi Akhil! 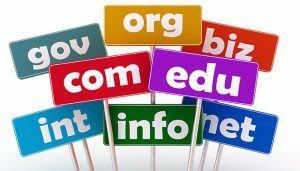 great post… I was looking for some tips before register a domain name. Thanks for your post it is quite useful… keep update. I’m very Glad to know that my article helped you to register a domain name for a cheap price. I’m going to regularly update my blogs. So, Visit regularly. 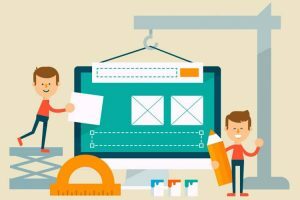 This is a pleasant blog about considering own domain while using free domain name because this will help to bring website rank better. Thanks for your valuable comment, I’m glad you found my article helpful. Thank you very much indeed for sharing this explanatory article. Welcome to WebWacko’s How to Buy Domain Name for Cheap with Free Extras Worth $80! I’m happy to know that you enjoyed the article!